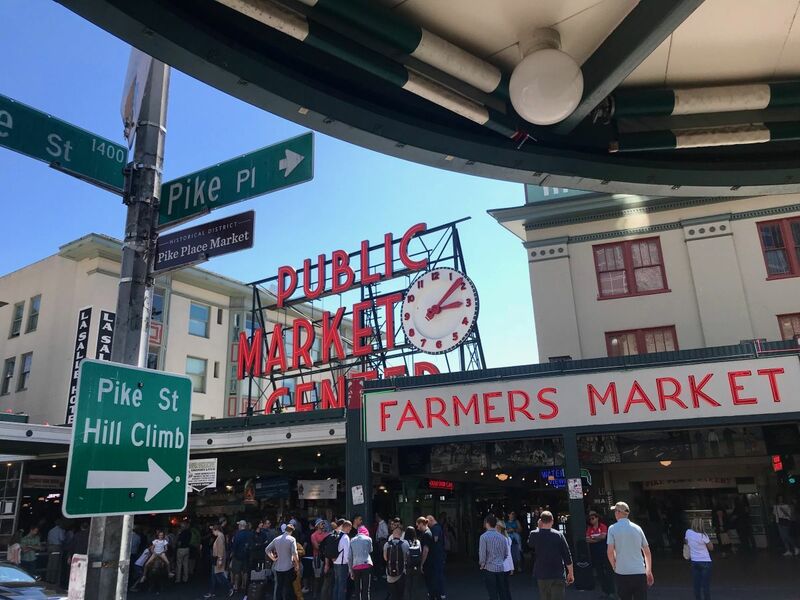 When we look for tips and more detailed info about what to see in Washington State, the indications almost always lead to a series of places and iconic sites made famous in the collective imaginary mainly for their sights and landscape. I think about Seattle, of course, and about all the small particular towns neighboring it. Then, of course, the Olympic National Park, the North Cascades National Park and the San Juan Islands. 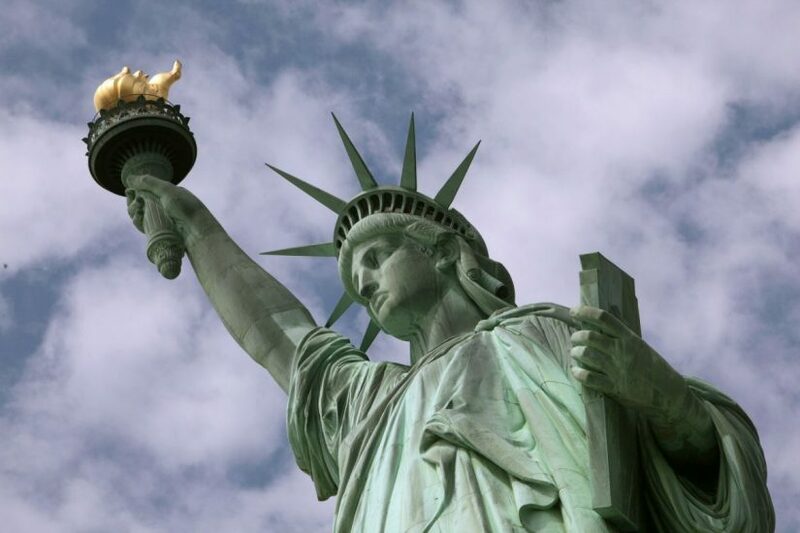 And yet – as it often happens when we tell about the boundless and the variety of a country like the United States of America are – looking attentively we realize that beyond those iconic and very beautiful sites there’s even really much more. 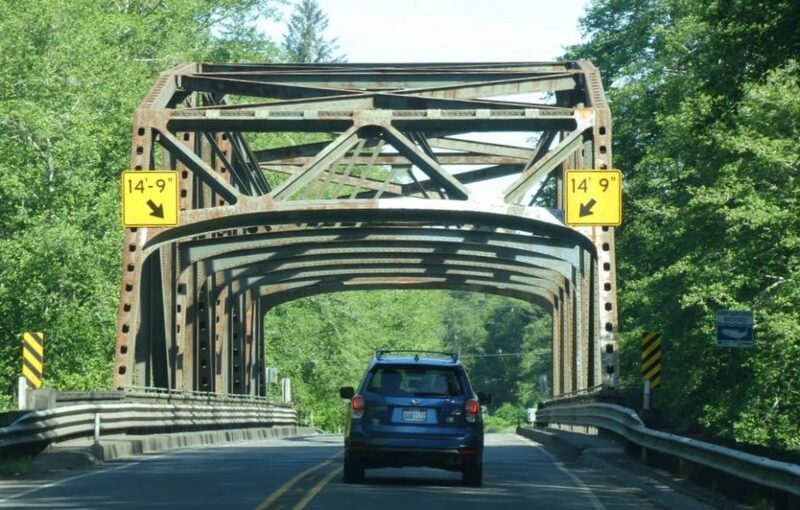 As the Olympic Peninsula. 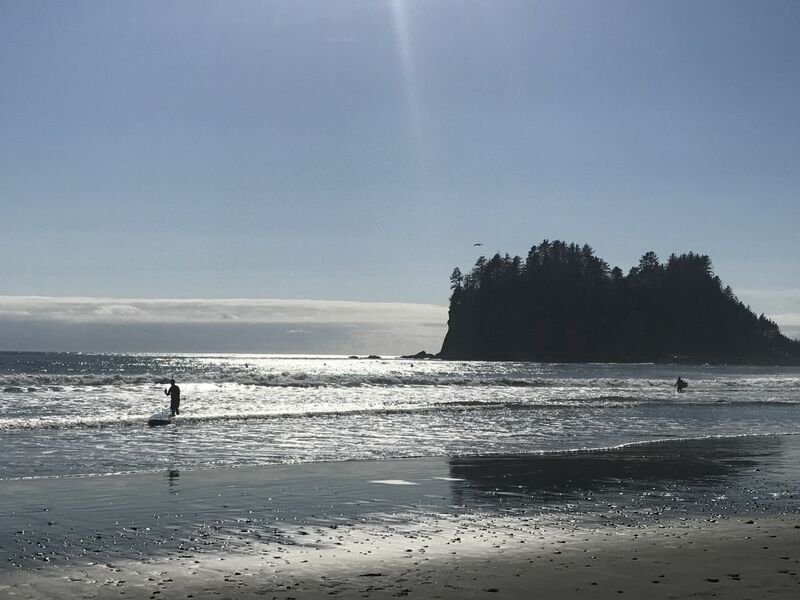 A wonderful moor of forests and rocky hills incorporating the Olympic National Park, and which separates (and protects) – through a complex system of inlets and islands, the Puget Sound – Seattle from the Pacific Ocean. 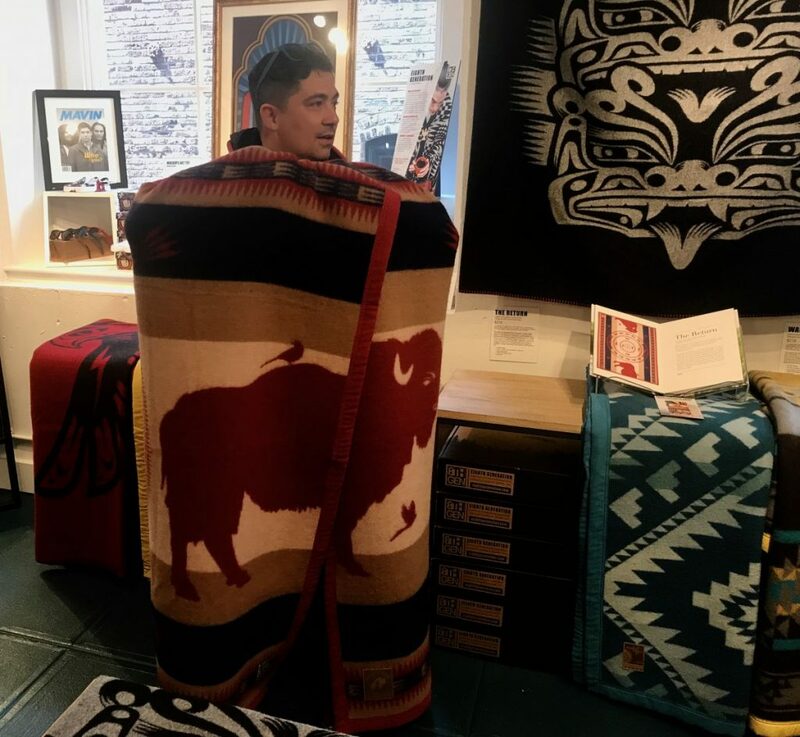 Land of frontier, apparently hostile and yet amazing and fascinating, since ever populated by different groups of Native Americans, bearers of traditions, stories, cultures and legends preserved with care (and not without any difficulty) over time and arrived incredibly untouched until nowadays. A totally unusual key of reading for a different – and very beautiful, take my word for – journey through some among the most ancient Native American Tribes of the United States. 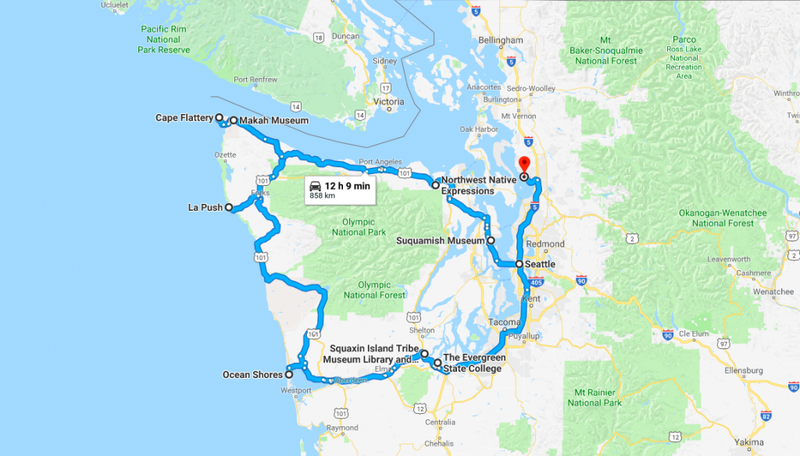 If you want, it can be easily put in a longer and complex itinerary including a good part of the most iconic sites of the Washington State and the near states. An intense path leaving from and arriving to Seattle, which develops in a good part through the coastline of the Olympic Peninsula. A journey discovering the culture of the Native Americans of the Northern Pacific, the interactions among the tribes and the neighboring landscape, the unavoidable influences of the atmospheric elements and the historical events which determined then the peculiarities of every single community, making them so one-of-a-kind. 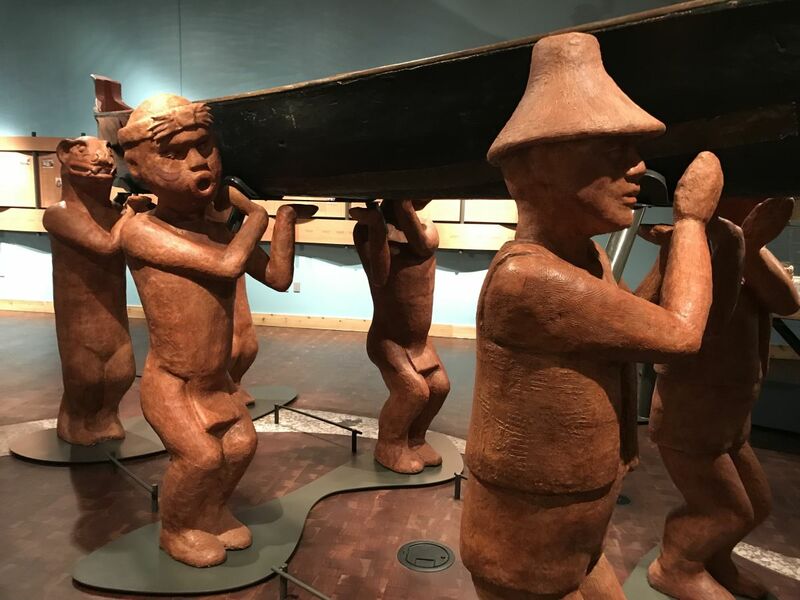 Their story comes from the migrant populations one settled thousands of years ago among the Columbia River, Vancouver Island and the endless forests of the Olympic Peninsula. Here the Natives proliferated – almost always keeping untouched their different linguistic and cultural characteristics – thanks to the use of the multiple natural resources offered by the neighboring land. 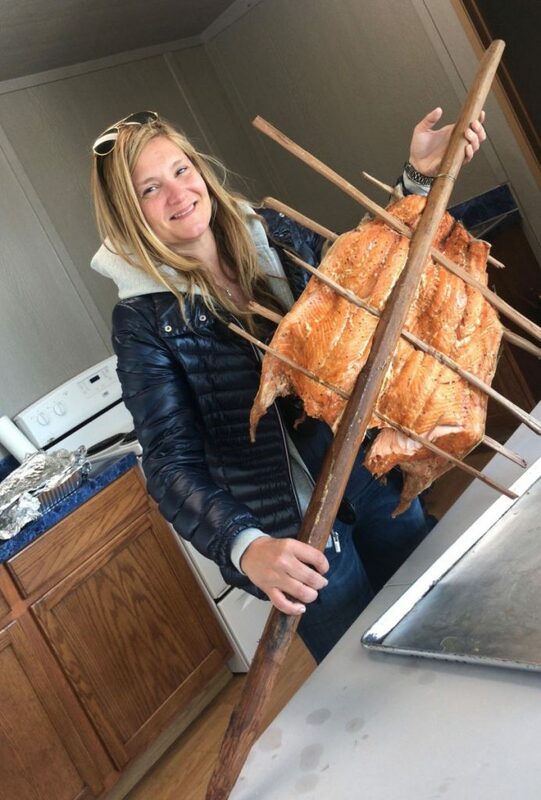 Twisting grass, string and bark to dress up themselves and to produce daily use objects, working cedar wood to build accommodations and canoes, picking roots and berries to feed themselves, haunting games and whales sometimes, and fishing their most precious source of nourishment, celebrated through specific ceremonials: salmon. 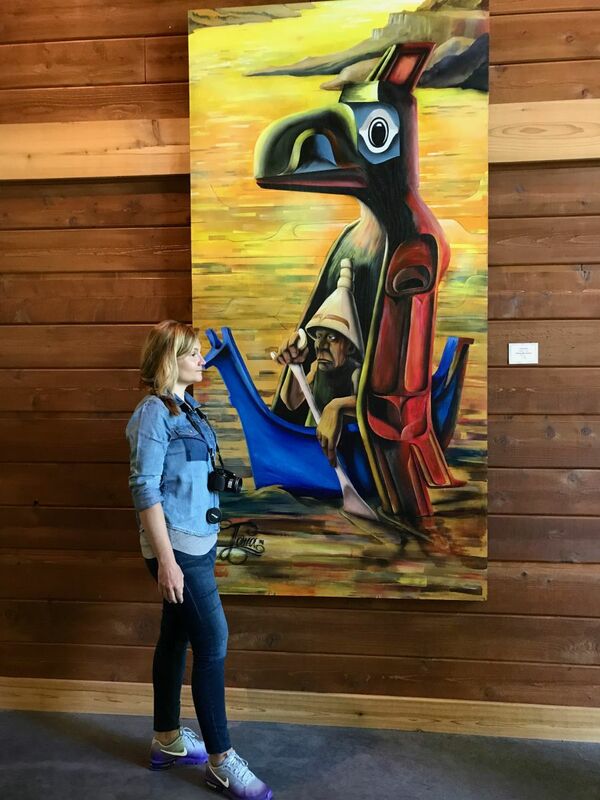 Communities strongly tied to their own past and traditions, which were able to evolve and keep almost untouched their own cultural legacy and that commit themselves – today through the opening to the ecotourism, too – so that their own historic memory keep being preserved and spread. 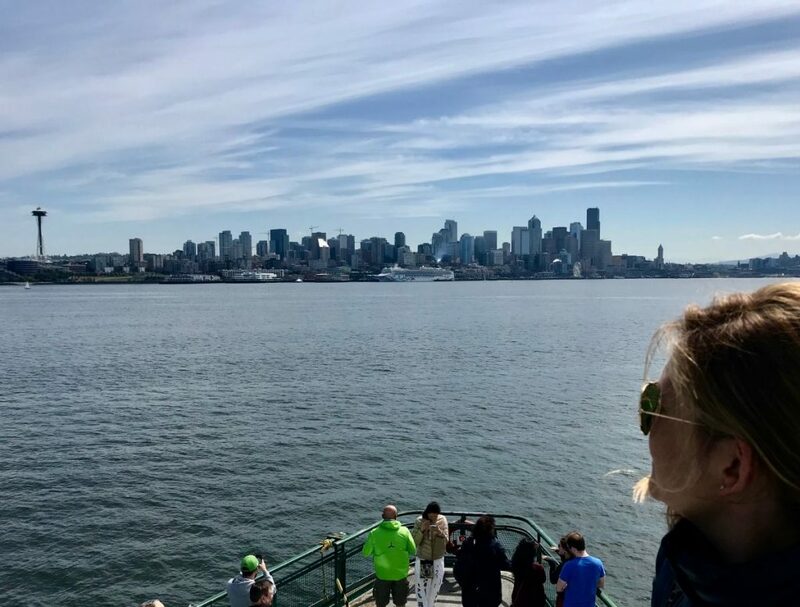 The leaving point of this journey cannot but be Seattle. 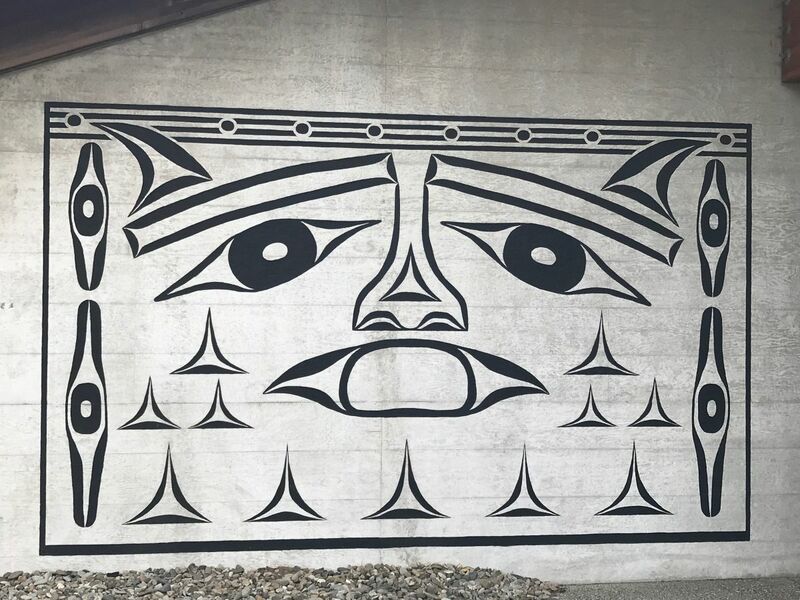 A city extremely liveable ad on man scale, culturally open-minded and innovative which, however, doesn’t forget its past bounded to the deeds of the Klondike Gold Seekers and to the developments of some among the most famous Native Tribes. My tip is to dedicate to it at least a full day leaving from the Pike Place Market – an ancient food market – and from the tour of the 8th Generation Pike Place – a permanent exposition bounded to the culture of the Natives of the Northern Pacific which deals with promoting and spreading the handicraft and the several local production of the single Olympic Peninsula Tribes. 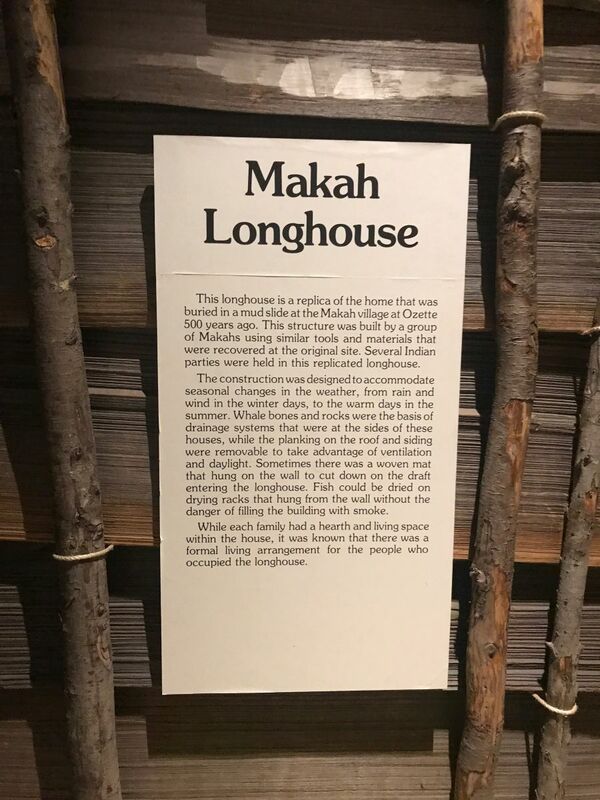 Once got past Tacoma and Olympia through the Old Olympic Hwy we reach the first stage of the itinerary, The Longhouse Education and Cultural Center, called “House of Welcome”, inside the Evergreen State College, the first building founded on the tradition of the Native Americans built on a public campus. The Longhouse is a sort of common house, a site where tribes and visitors of all cultures interact through the promotions of native arts and culture, a place where to learn and teach in turn, an experiential tour which allows a first emotional contact with the local native cultures. The following stage decrees the meeting with the first tribe of the itinerary – the Squaxin Island Tribe – at the Squaxin Island Tribe Museum Library and Research Center. The Squaxin Island Natives are direct descendants of the sea populations who lived along the banks and the watersheds of the inlet, the seven southernmost inlets of the Puget Sound. Following the United States territorial deals of annexation in 1853, to the community only a small island remained – about 6km long – as main area where to make the whole tribe stay. Firstly, the island was named Case Inlet, then it became famous as Squaxin Island. 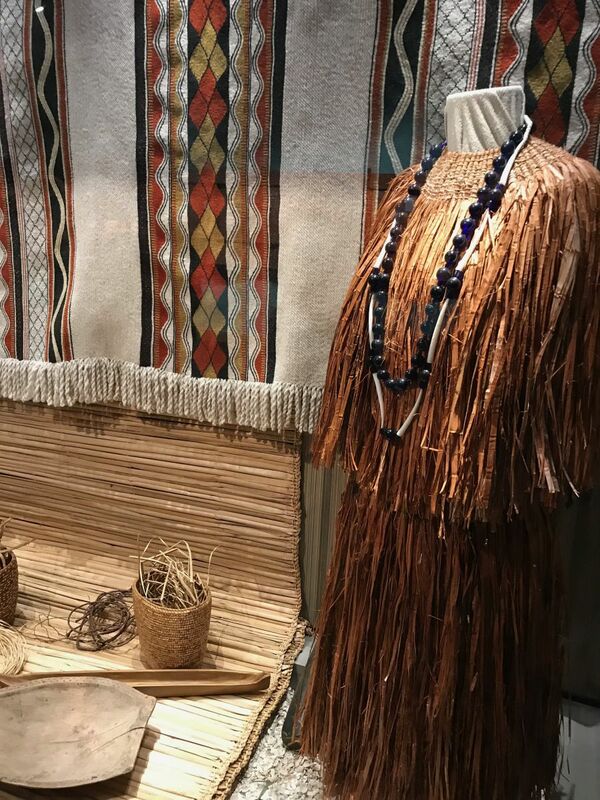 Because of their strong cultural connection with water, the Squaxin are also known as People of the Water. 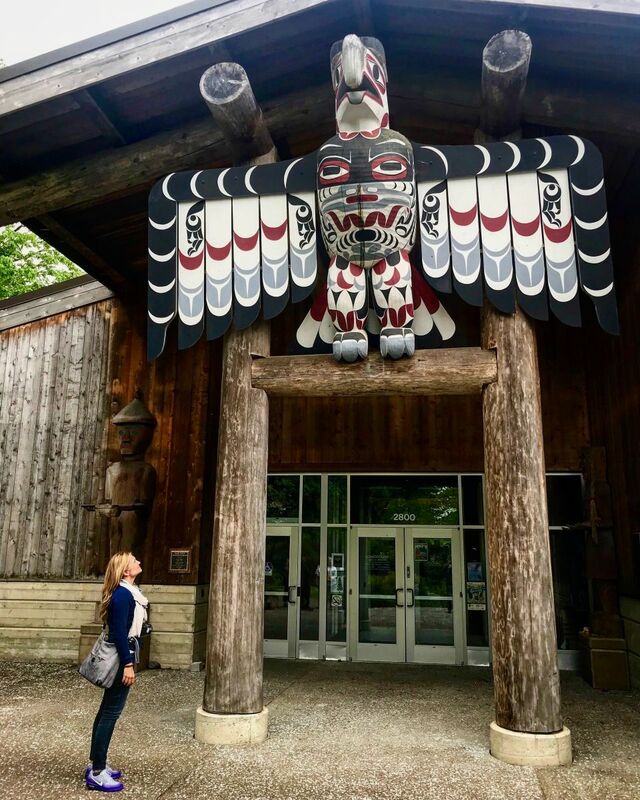 The Quinault Indian Nation occupies one among the most fascinating and suggestive areas of the Olympic Peninsula. 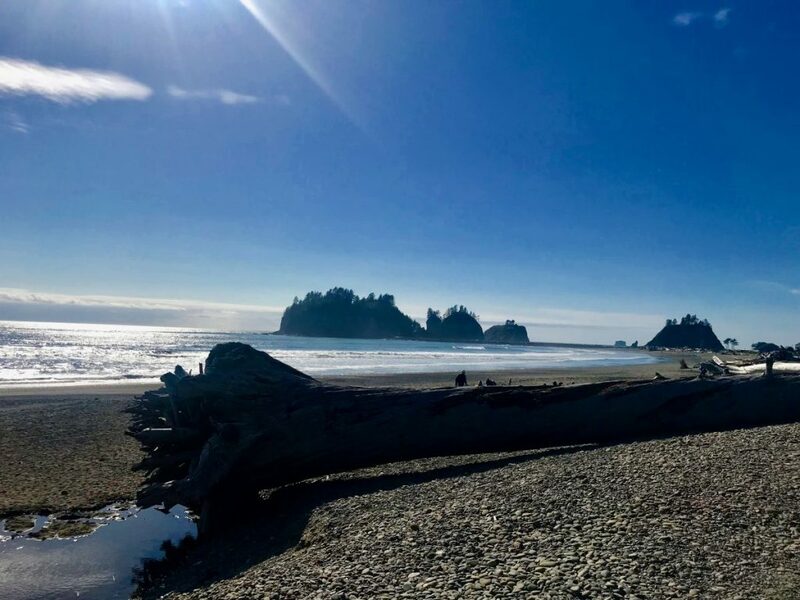 Its borders include over 85.000hectars of forests and about 37km of uncontaminated Pacific coast, the wonderful beach (with village attached) of Ocean Shores included – stage not to be missed both from a landscape point of view and movie one. 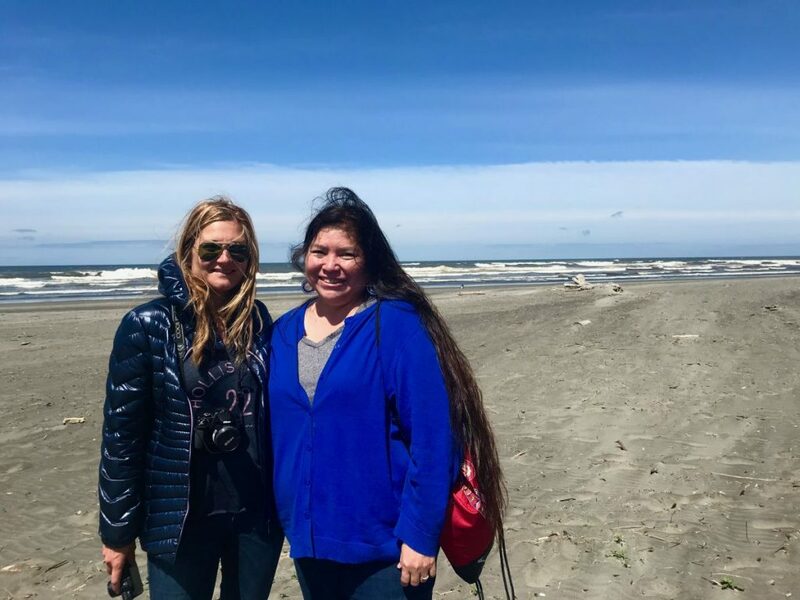 The near Quileute Tribe develops around La Push Beach. 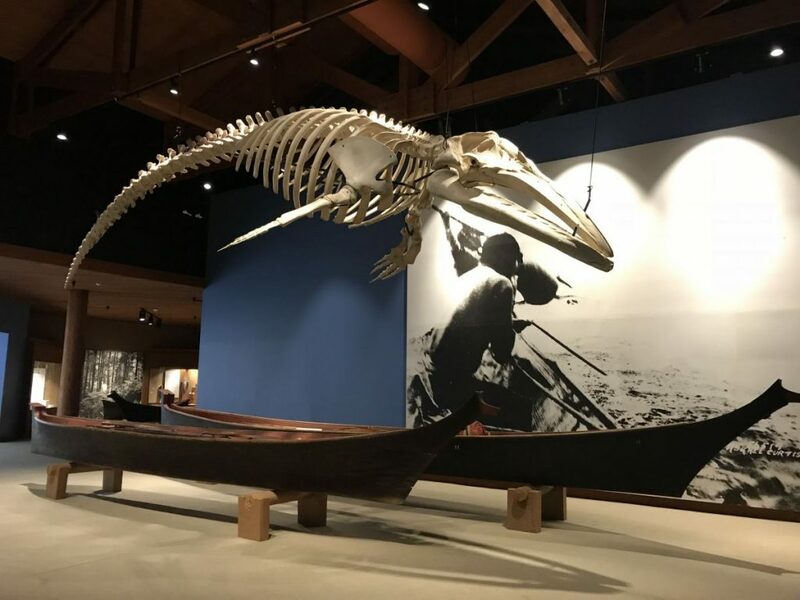 It is one of the most open-minded communities to the tourism, sharing of one’s own stories and legends, outdoor activities, fishing, whale watching, canoe, trekking and traditional local salmon dinners cooked on aromatic wood supports. 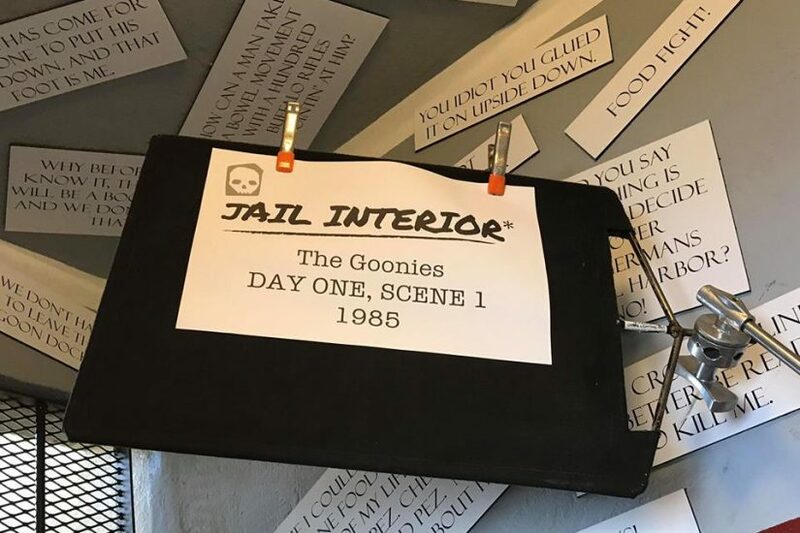 La Push and the near small town of Forks were used as literary locations and movie set for the Twilight Saga. 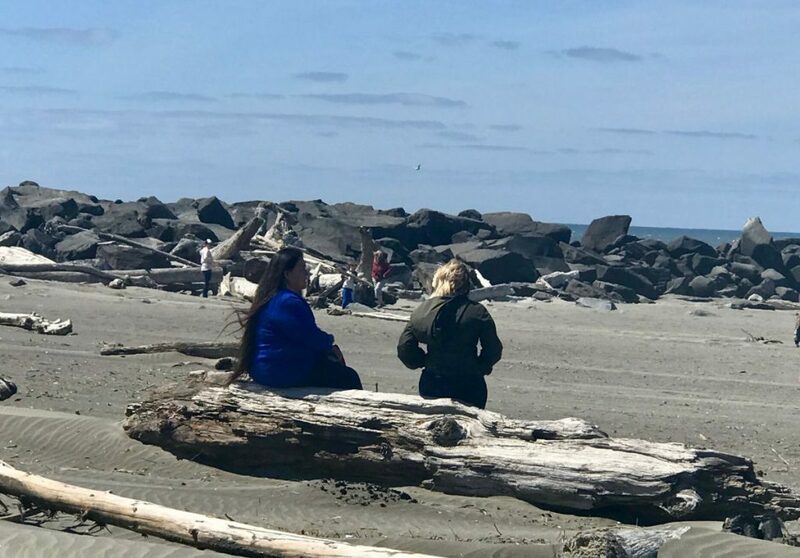 The lovers of the genre can take part into dedicated tours and discover that the (fantasy) character of Jacob in the movie belongs right to the Quileute Tribe and his story is inspired to one of the many local legends. 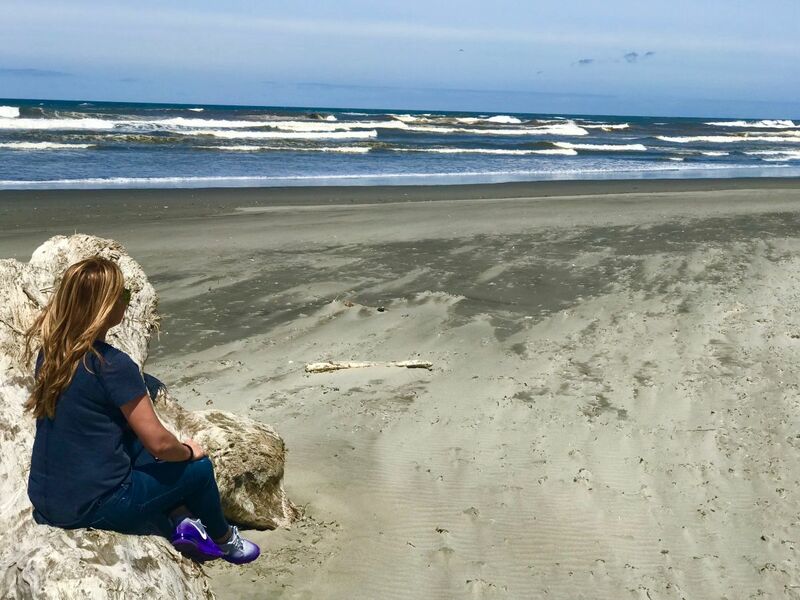 Tips to have lunch: Emily’s Oceanfront Restaurant, Quinault Beach Resort and Casino. 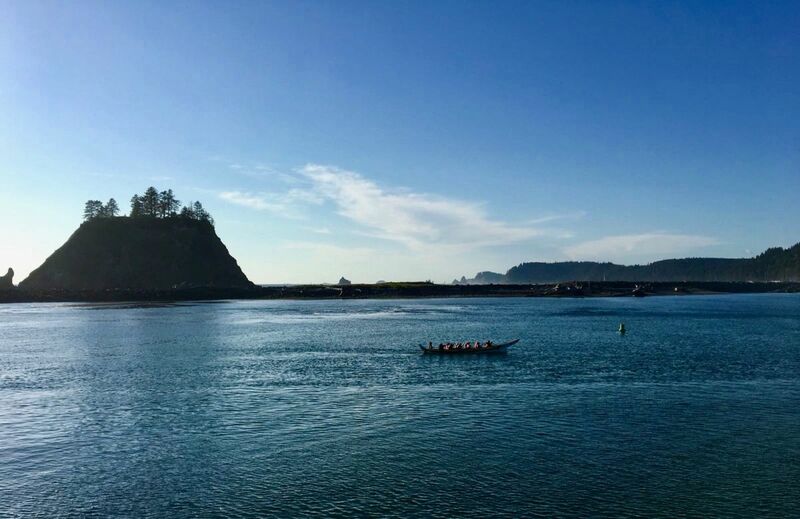 Neah Bay, the northern tip of the Olympic Peninsula, is Makah Tribe’s land. 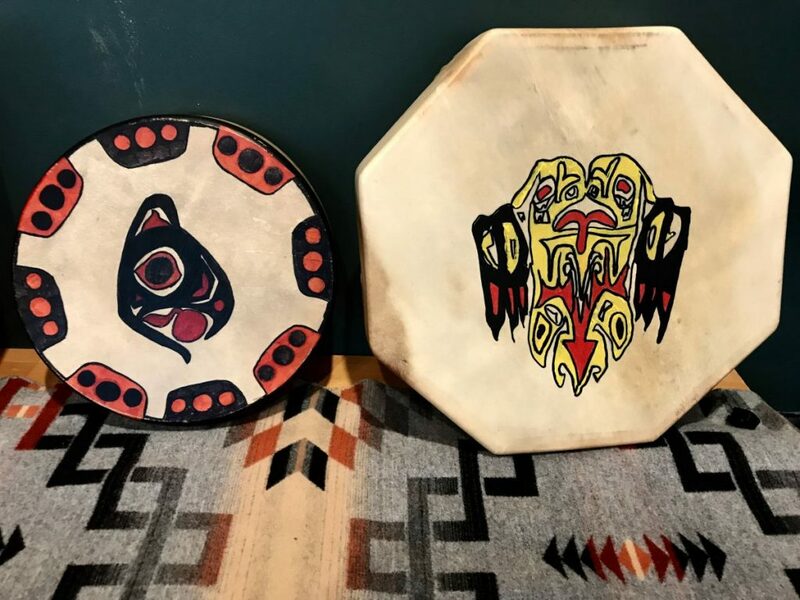 One among the most prosperous tribes of the peninsula because of the ideal position among forests and a trait of ocean rich in the most different varieties of fish, seals, salmons and whales mostly. The Makah are famous as skilled whales hunters, a practice that – despite polemics – they kept doing considering it a legacy of their own sacred traditions. 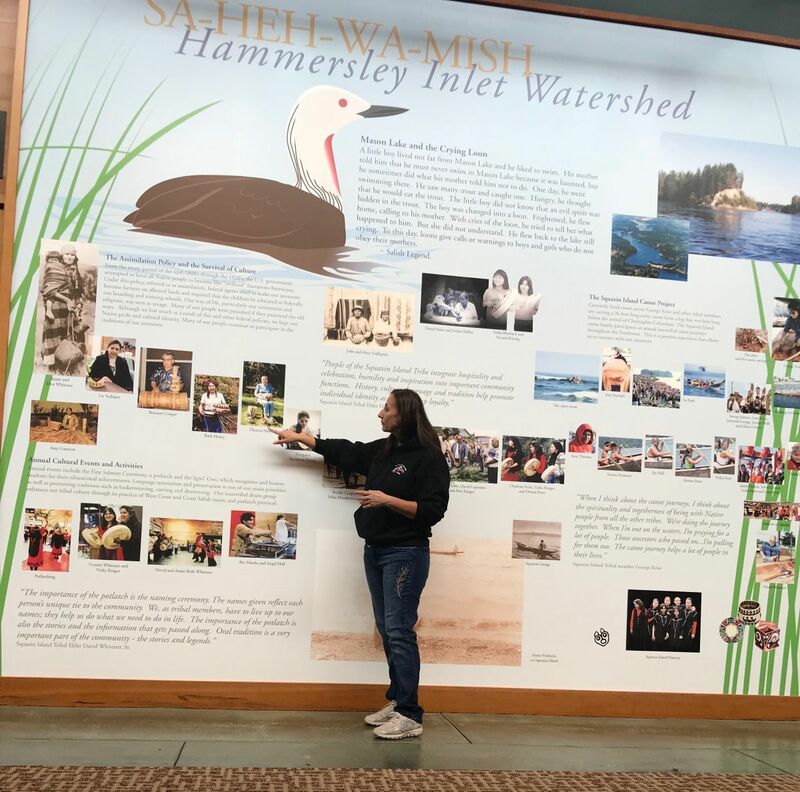 The Makah Museum Cultural Center tells the story of the tribe and exhibits a series of very precious relics coming from the near Ozette archaeological site, a primordial civilization which gave origin to the tribe. 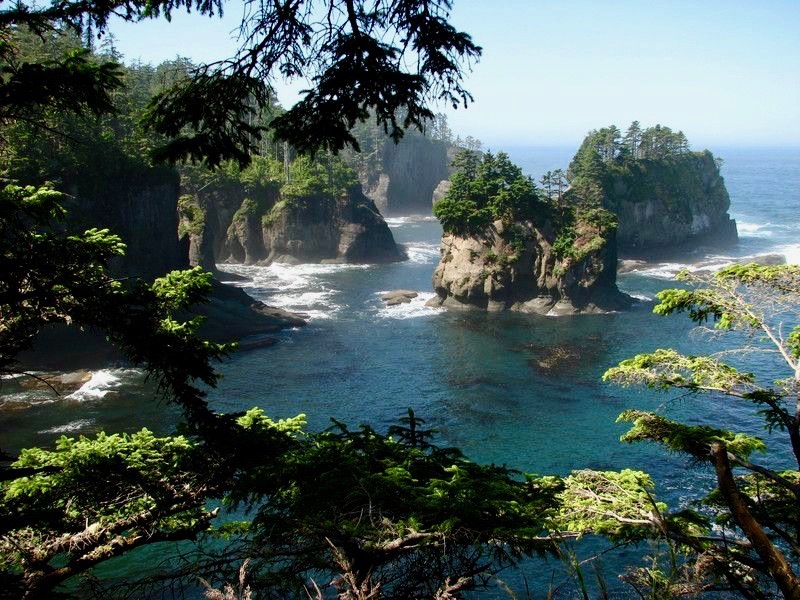 About 10km northwards we reach Cape Flattery, a mythical and extremely suggestive place dropping straight to the ocean, actually the northernmost continental point of the United States of America. 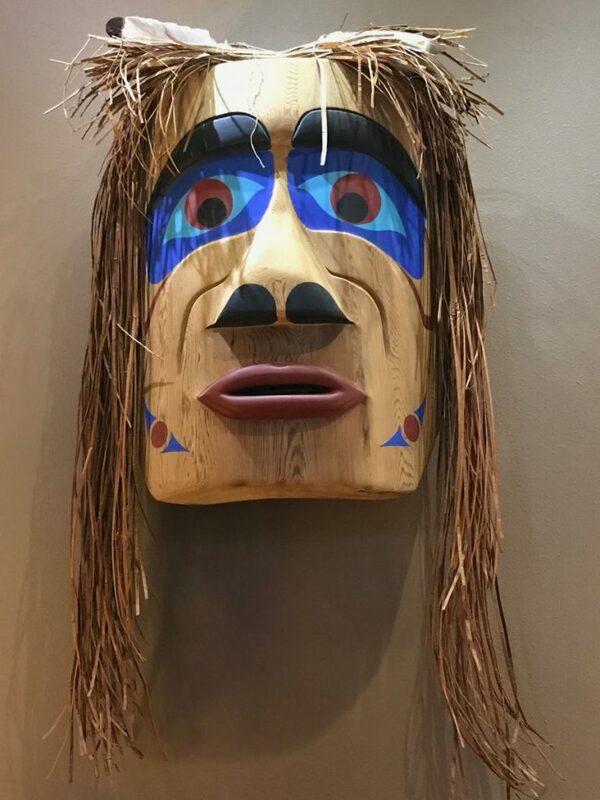 Going back eastwards, always along the coastline of the peninsula, you cross the Jamestown S’Klallam Tribe’s land, a community devoted mainly to the art, the singing and the spirituality, which promoted the leadership, the self-sufficiency and a code of conduct serving as a base for their survival. 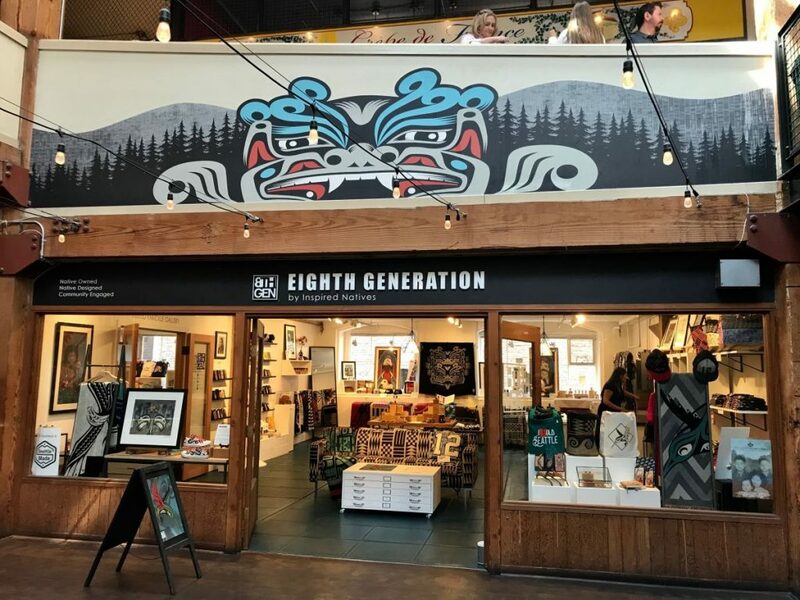 Stages not to be missed: the Northwest Native Expression Art Gallery artistic center and the Cedars Golf Club: both belong and are run directly by the Tribe. 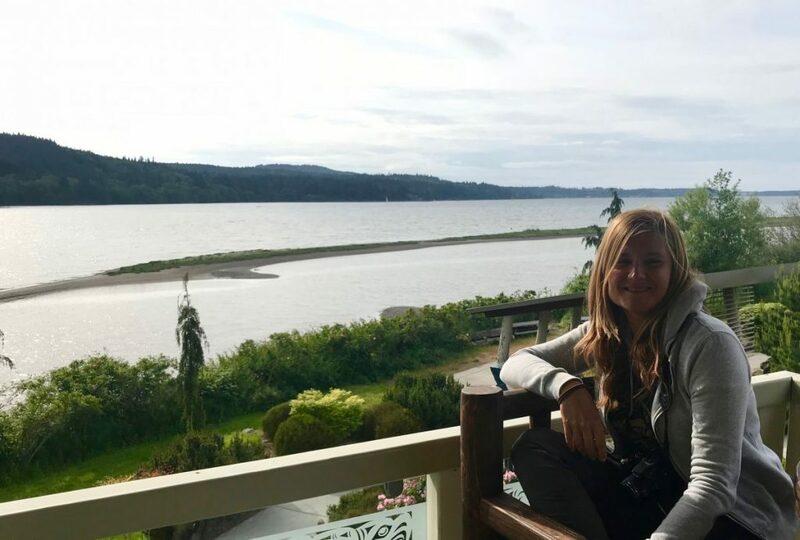 Tips to stay overnight: Silverdale Beach Hotel. 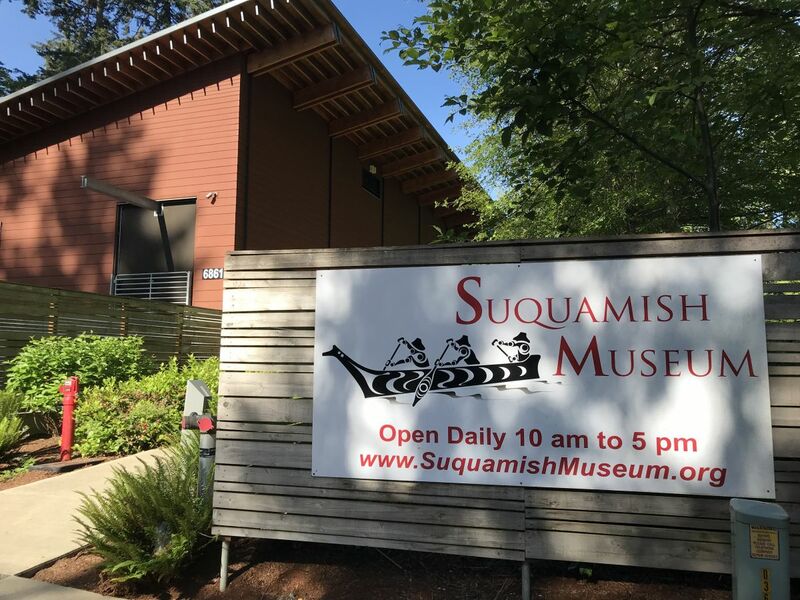 First stage of the day is the meeting with the Suquamish Tribe in the Bainbridge Island, one of the last islands of the Puget Sound before to reach Seattle by ferry, half an hour about. 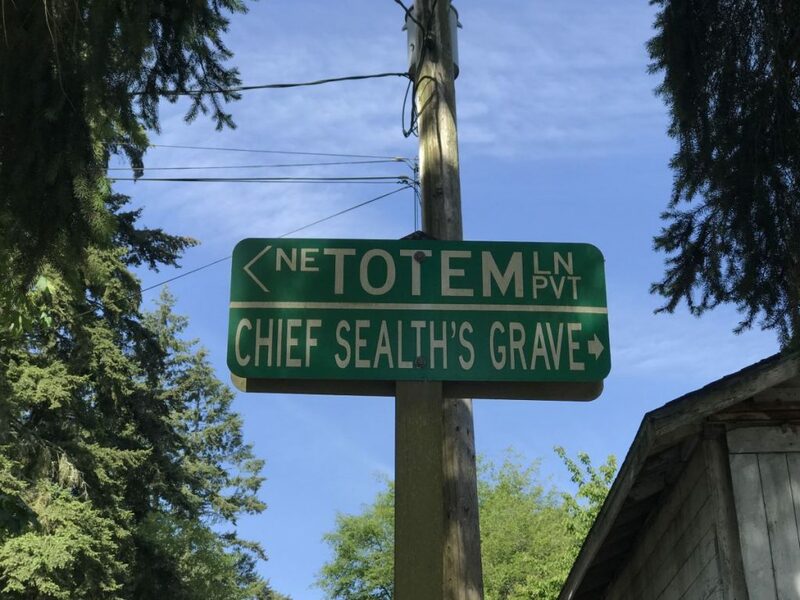 The Suquamish – in the tradition “People of the clear salt waters” have been living in this area for thousands years. The abundance of natural resources and the ability in preserving food allowed them to develop a rich cultural and spiritual life. The annual cycle of activity was divided between the picking in the hot months and the communitarian life in permanent houses in Winter for social and religious ceremonies and protection from the cold. An open-minded and friendly community which keeps – through the diffusion of the culture and its own tradition –teaching the new generations the ancient Lushootsed language. 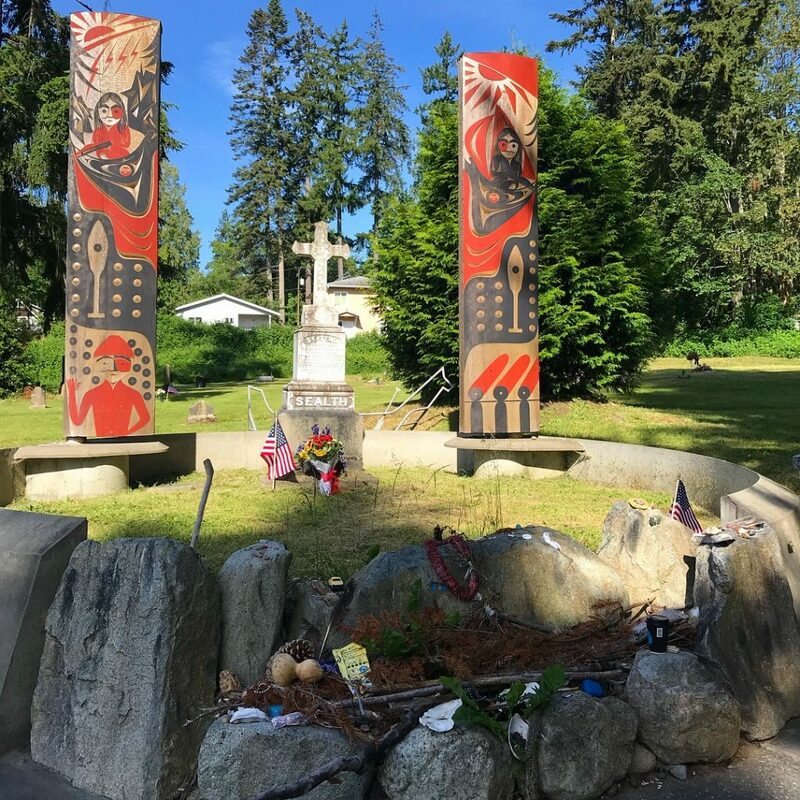 The tour to the Suquamish Museum cannot be missed, as well the tomb of Great Chief Seattle and the Veterans Memorial honoring the Native American killed on the battlefield. 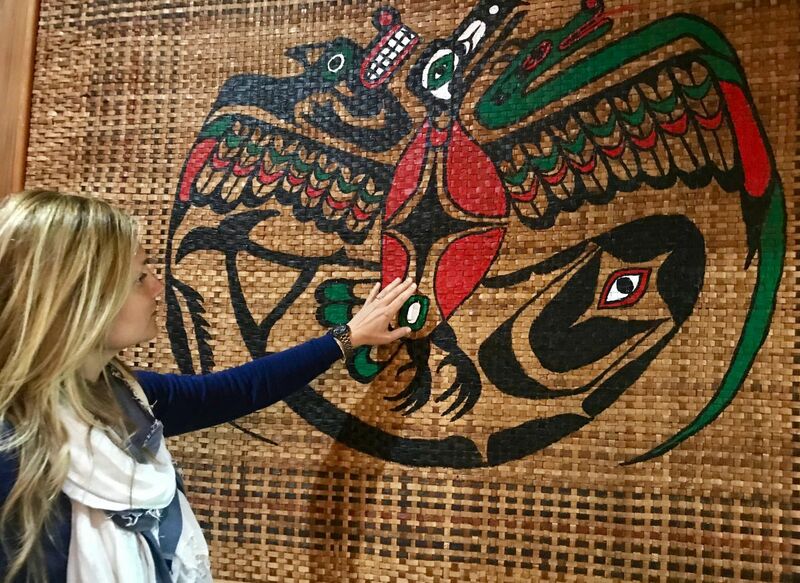 Final stage after have been returned to Seattle is the Tulalip Tribe. 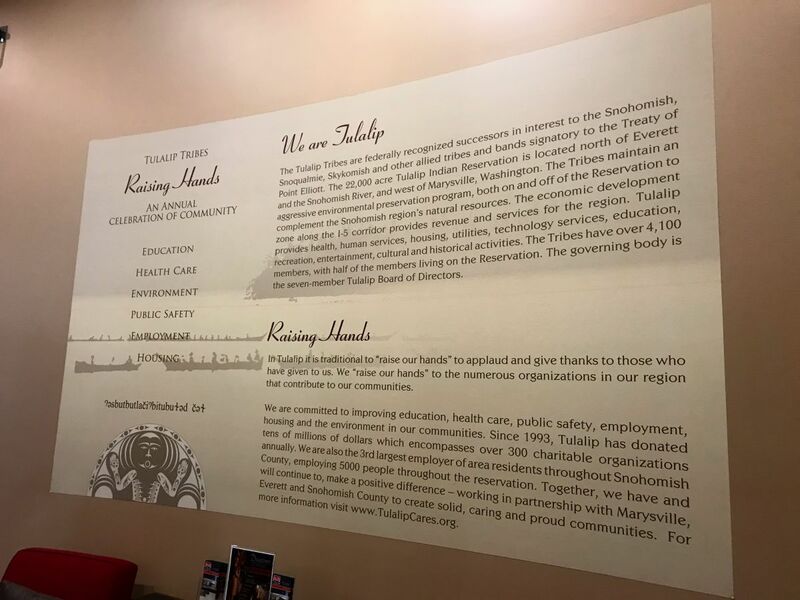 An Indian tribe acknowledged at a federal level, extremely organized and lively in the whole reservation. About 20.000acres of sweet and salt waters, creeks, forests and cultivable fields, discovered by chance in 1974 by Captain Vancouver. To get in touch with the community’s spirit and its art, my tip is to visit James Madison’s studio, whose works tell the story and the evolution of the Tribe. 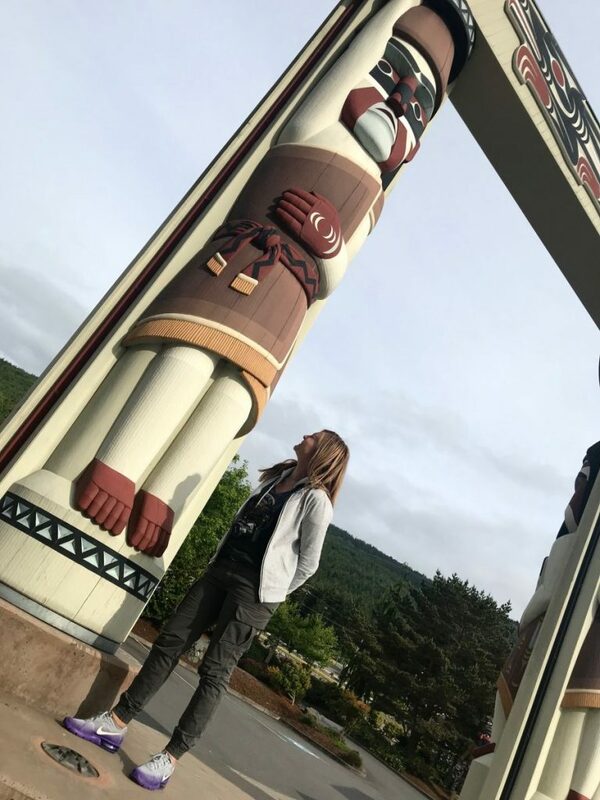 They can be found practically anyplace, even in the property of the Tulalip Resort Casino, a hotel completely inspired to the native culture, the perfect place where to stay overnight at the end of the itinerary to enjoy an artistic tour and a bit of relax and shopping in the near Seattle Premium Outlet. 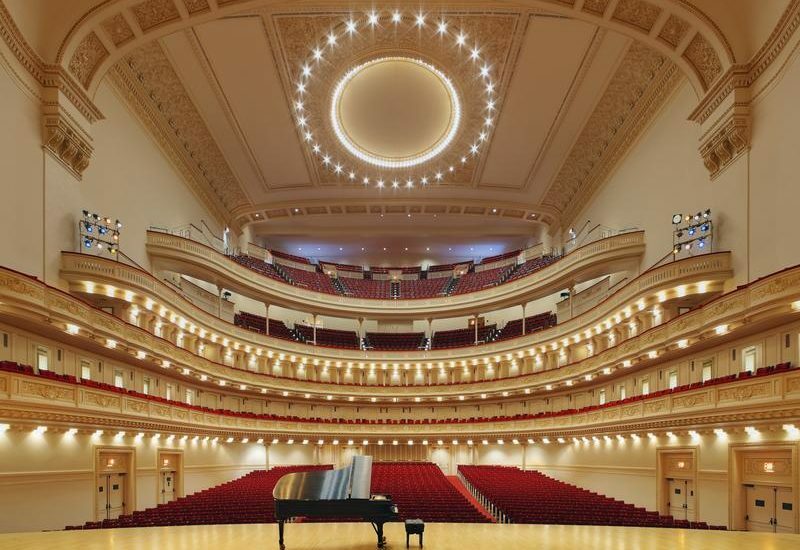 An itinerary feasible in 4 full days, however it call for quite fast rhythms. 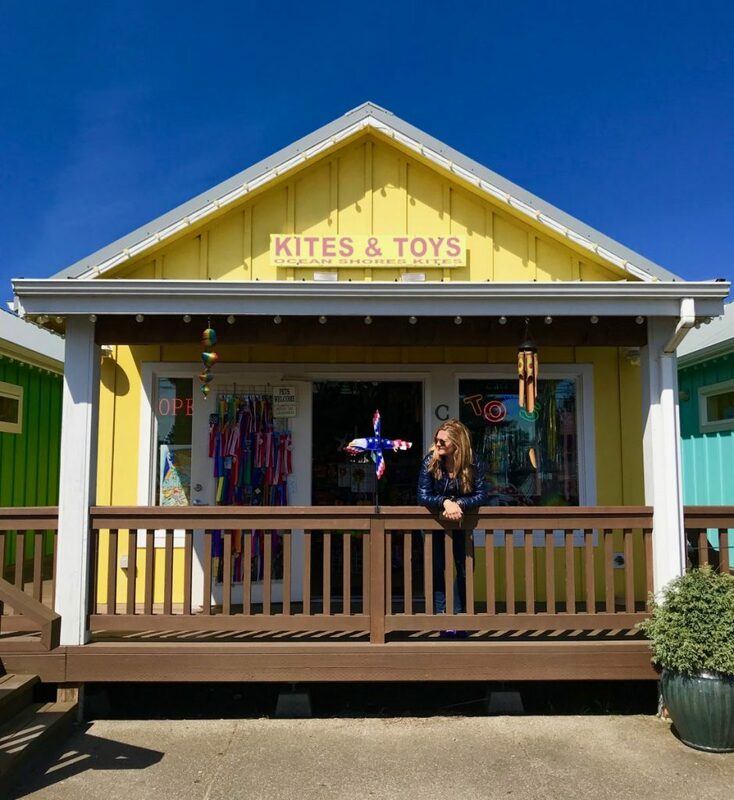 It’s better – if possible, of course – to reckon a couple of days more putting the tour of Olympia, Tacoma and some small villages along the coast besides the exploration of the Olympic National Park. Comfortable cloths, trainers and trekking shoes (if you decide to do some more difficult trails), k-ways and light quilted jacket (even in Summer) are recommended. 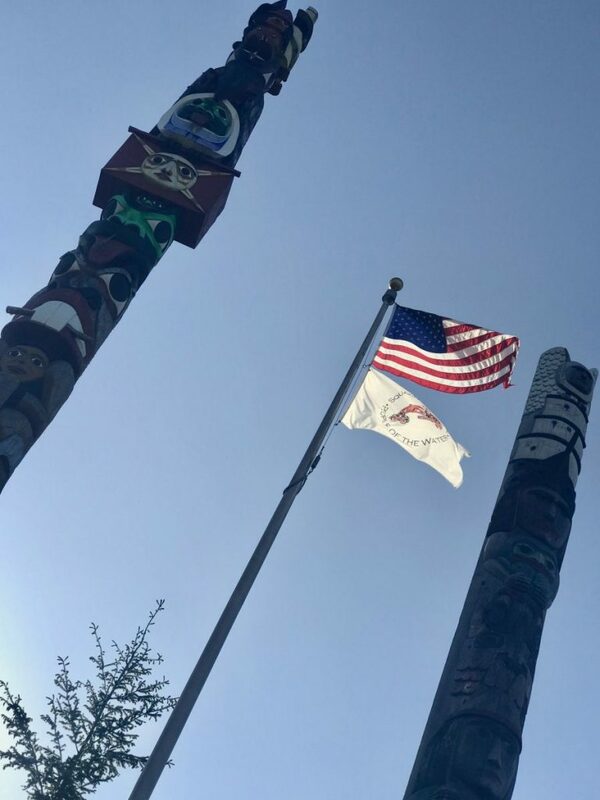 Please, look up the official Aianta – American Indian Alaska Native Tourism Association website for further info about tours, paths, trails and locations. 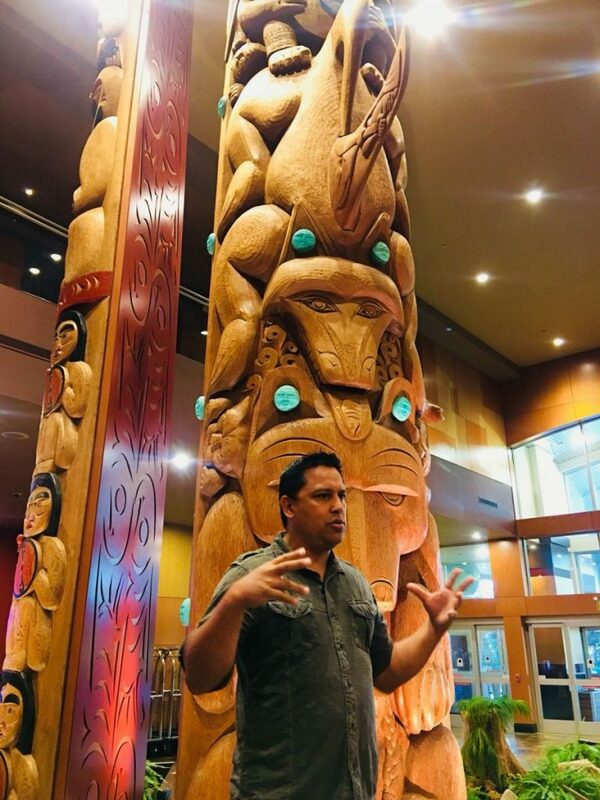 Hey Buddy!, I found this information for you: "What to see in Washington State, itinerary: from Seattle as far as the Olympic Peninsula Native Tribes". 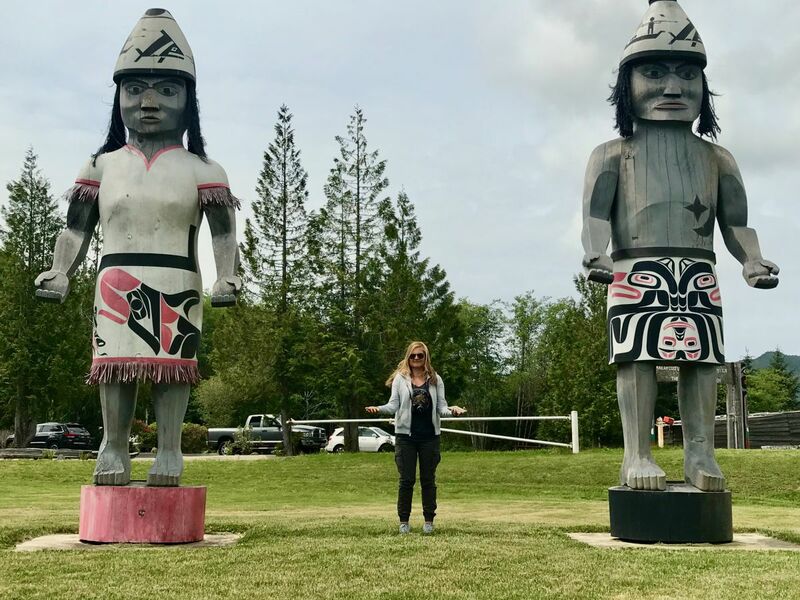 Here is the website link: https://www.simonasacri.com/en/americas/united-states/northern-states/what-to-see-in-washington-state-itinerary-native-tribes.php. Thank you.